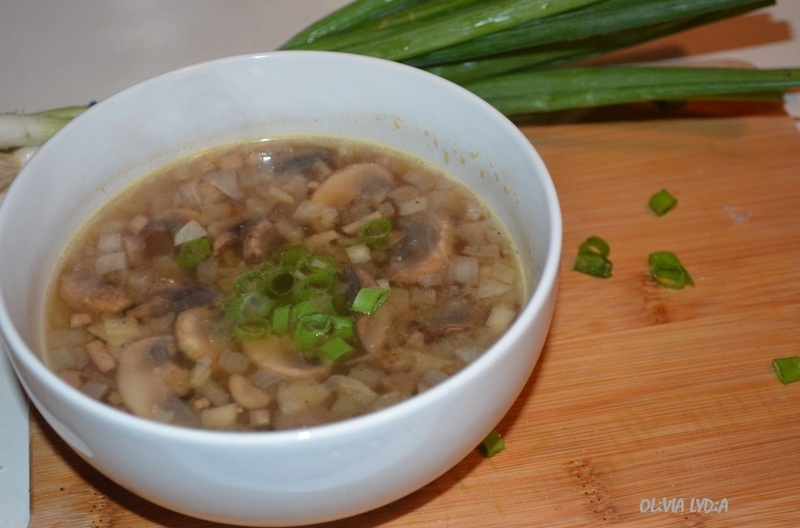 Quick, Easy, Healthy – Miso Mushroom Soup – Olive For Greens. Soup season is just about over- for most of us. However, I enjoy soup year around. The classic soup and salad combo is my favorite go-to lunch. Just as I enjoy creating varieties of salads, I love creating various veggie soups, too. 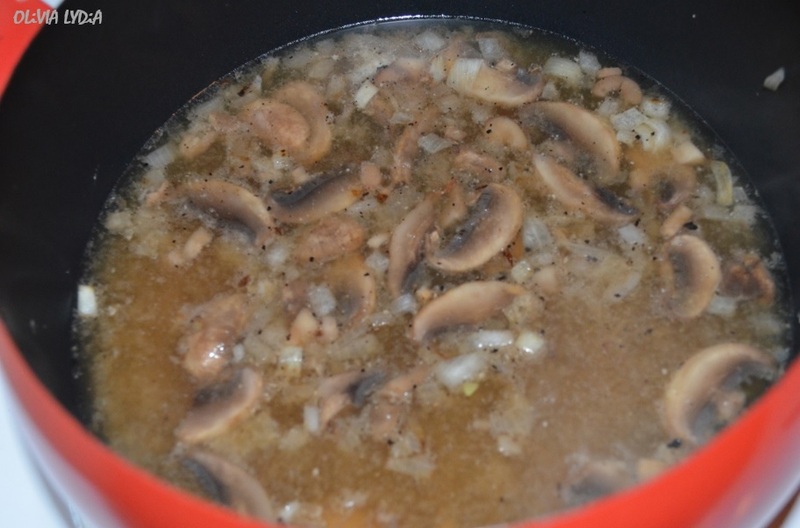 This soup was inspired by Miso Soup available at Japanese restaurants. Miso is a traditional Japanese seasoning produced by fermenting soybeans (To learn more about soy click here). 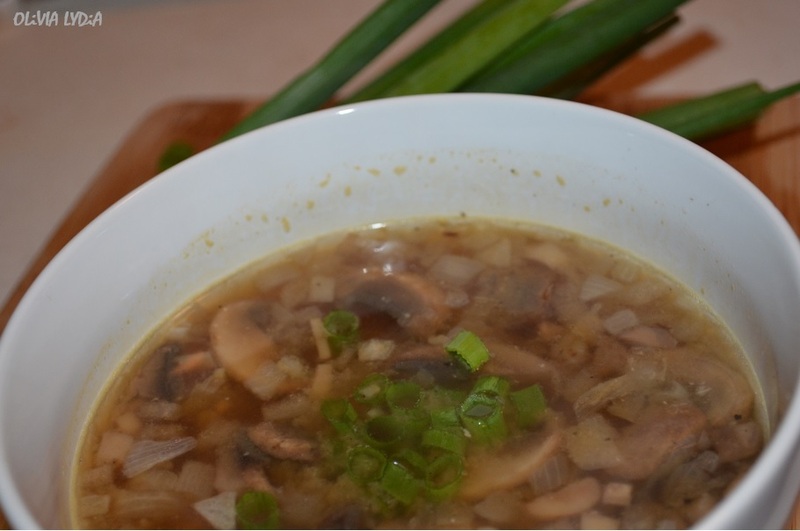 My Miso Mushroom soup is a twist on classic miso soup. Just in case you are concerned that there is no salt in this soup, trust me, it’s not bland! 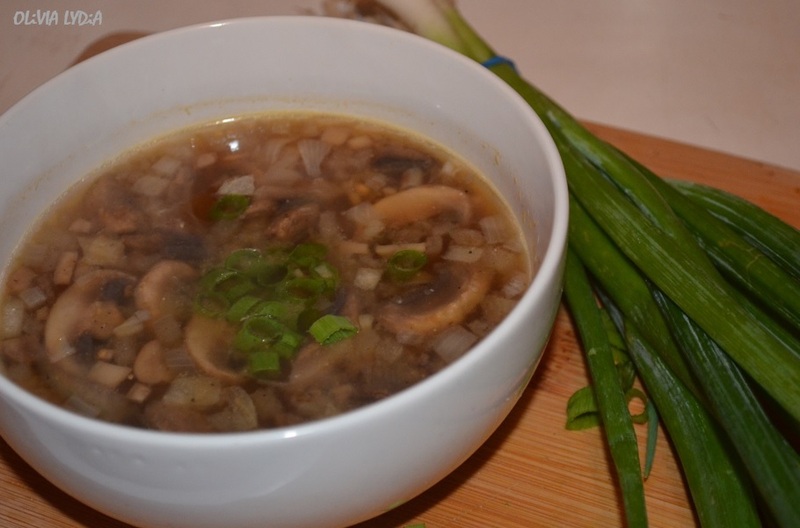 The vegetable broth and miso paste have plenty of sodium to satisfy your taste buds! And here’s a bonus for you- This soup cooks in under 20 minutes! 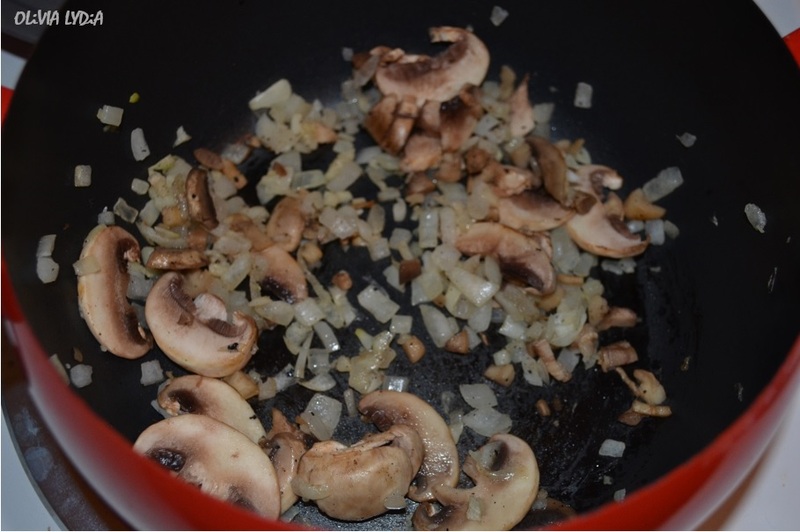 Add the oil, onions, garlic and mushroom stems to a small-medium pot on medium heat. 2. 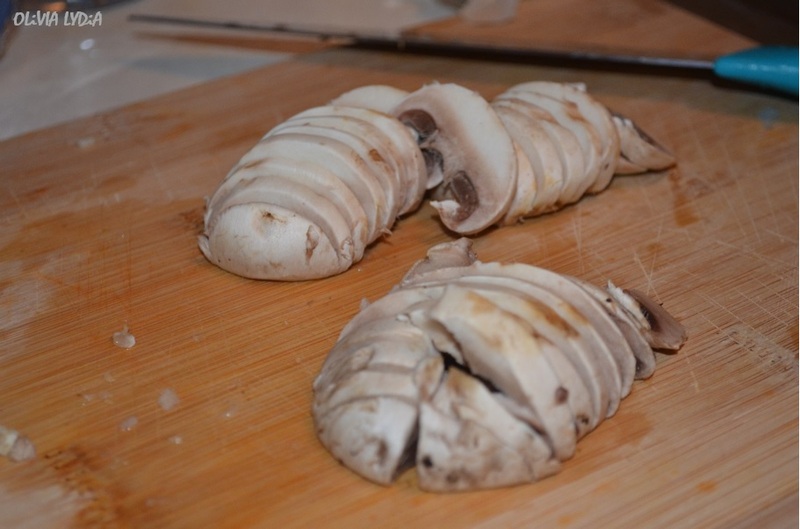 Sauté until golden then add the sliced mushrooms and black pepper. 3. Sauté for about 5 more minutes then add the miso paste, vegetable broth and water. 4. Cover for about 5 minutes on low, to let the flavors marry. 5. 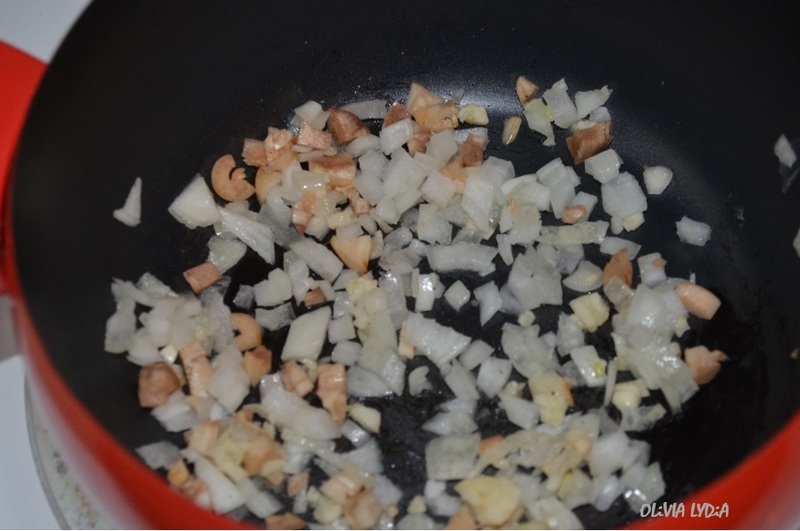 Upon serving, add the green onion to the bowl. Enjoy!